San Diego Free Press Doug Porter broke the story yesterday on a man by the name of Lawrence Deshawn Silva Nathaniel with “We Are One Foundation” who organized a rally that, in the end, did not include local grass roots border organizations. Instead, he made sure to contact Border Patrol, the SDPD and ICE and said any undocumented participants of the rally could rally in a specific ‘safe space’. Wha-huh? The March 25 rally has been cancelled, but read the details here. The Union-Tribune explores what it means for an immigrant to “get in line” to get into the U.S. The story of Cruz Velazquez Acevedo hit the Washington Post this week. A 16-year-old boy who crossed the border, was stopped by Border Patrol and told to drink the liquid Cruz claimed was apple juice to prove he wasn’t lying. As a matter of fact, Cruz was carrying methamphetamine and died after drinking it. [Updated 3/26/2017] Read the full story here. The county is asking businesses if they have experienced economic or property damage from the February Tijuana sewage spill of approximately 143 million gallons. Some businesses may be eligible for low-interest federal disaster loans. See here for more. 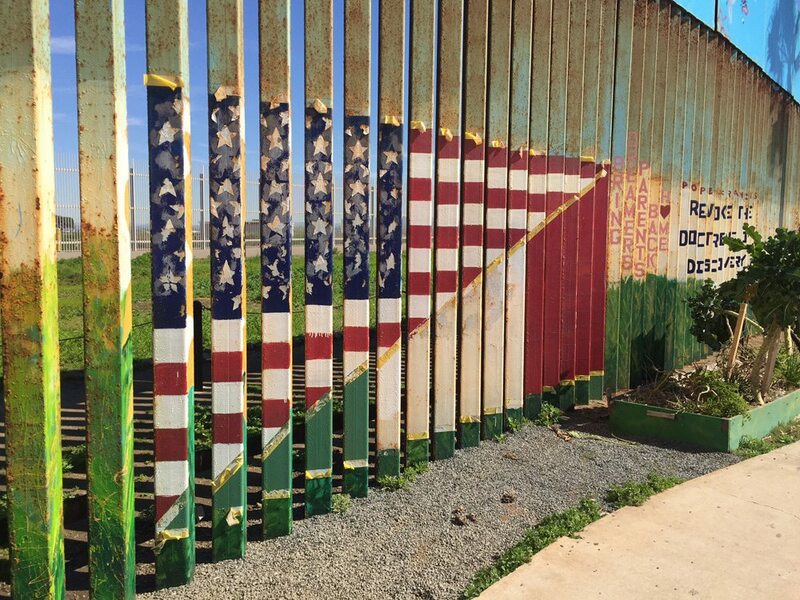 The San Diego Reader carried a feature story about what it means to live in a border culture. Three state legislators, including San Diego Assemblywoman Lorena Gonzalez, introduced a bill on Monday (Assembly Bill 946 — Resist the Wall Act) that would require the California Public Employee Retirement System and the California State Teachers Retirement System to divest from any company involved in President Donald Trump’s proposed border wall. “It’s clear the people of California don’t want to invest in the hateful values that the Trump wall represents,” Assemblywoman Lorena Gonzalez Fletcher said. In reaction, at the next Otay Water Board meeting citizens came out to ask for his resignation. In addition, Chula Vista City Council member, Steve Padilla, denounced Hector. Otay Water District Director Mitch Thompson wrote an op-ed to the Chula Vista Star News denouncing Hector and also asking for his resignation. Now there’s a “Resist Hector Gastelum” protest on Monday, April 17th from 3pm-6pm at the Otay Water District. To find out more, check out the Facebook page. Fayaz Nawabi, one of the community organizers on this issue, said that they’ll give Hector two more chances to resign at the next Otay meetings. If he refuses, they’ll begin the recall process. South Bay Leadership PAC Asks: How Do We Progressives Work Together Moving Forward? Last night, Thursday, March 23, Sweetwater Water Authority Board Member Jose Preciado, led a panel discussion at the South Bay Leadership PAC that included some important community activists in the South Bay. Topics ran the gamut from housing, education, healthcare and equity. Copies of the recent CPI report on poverty rates in South San Diego County were handed out as well. Dae Elliot (Executive Chair of South Bay Alliance, a non-profit that puts on South Bay Pride each year and hopes to open an LGBT center in the South Bay) mentioned that our educational system treats children as a product. It’s an industrialized approach. Unfortunately, students get to college and are unable to critically think for themselves. Kirin Macapugay (Executive Director of the Asian Pacific Islander Community Actions) explained she was once told by a fellow parent that if she cared about her child’s education, she would send them to private school. Kirin explained that she sent her child to public school because she not only wanted the best for her own child, but for other children as well. Fayaz Nawabi (Public Relations Officer & Outreach Representative at Council on American Islamic Relations) informed the group that 56 percent of Muslim children report being bullied at school. More than 80 percent of the bullying comes from teachers or administrators. As a consequence, Muslim children prefer to go to either Charter schools or private schools. 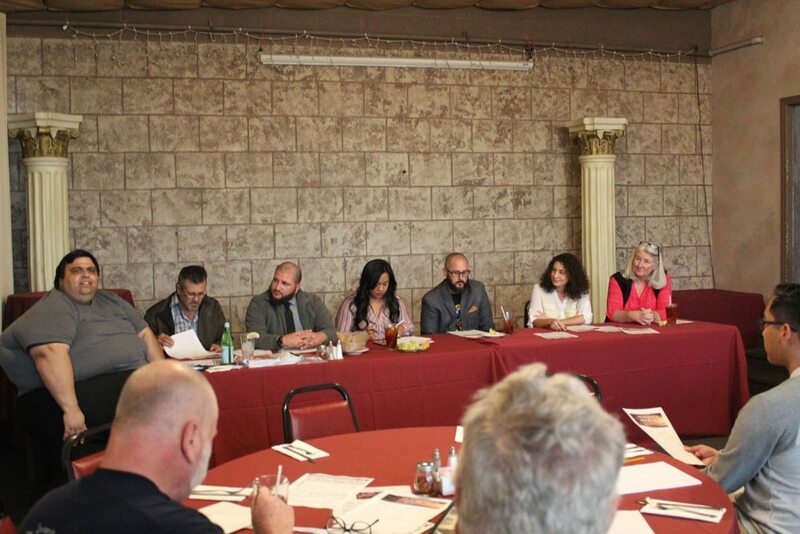 Concerning equity, equality and inclusion: Lisa Cuestas (Executive Director of the San Ysidro non-profit Casa Familiar) explained that in order to receive a certain grant, she was asked to collaborate in some way with two other organizations. Instead of starting with an issue first, the three groups began to talk and work together to find an issue upon which they agreed. This approach could be helpful for progressives. Finally, a member of the audience explained that often progressives say they are the party of compassion who stand up for marginalized communities. However, perhaps progressives should reframe the issues to be about fairness in education, housing and work. The County’s parks and recreation department recently hosted a workshop concerning the regional trail system in Otay Valley. For one thing, the trails in eastern Chula Vista are not yet hooked up to trails to western Chula Vista trails. Eventually, they could become integrated. The County contribution for this is about $250,000 and the integration includes many participating agencies. To see more about the future trail system and to take the survey, see the San Diego Union Tribune article. Yes indeed! For those of you asking, there’s a South Bay Indivisible group (SBI). To sign up, email: sbiresist@gmail.com or ask to join their Facebook page. Here’s more about Indivisible groups. For those who are frightened by what’s happening in local, national and world politics — here’s some myth and lore that can “reset” things for you: If you’re traveling between Chula Vista and Jamul, you might just come across a 6-mile dirt road, which has become known for the PROCTOR VALLEY MONSTER. You might also run into the WOMAN IN WHITE and the DEMON CAR. I can’t vouch for the stories or the website, but live dangerously for a moment and take a look here. Thx for delicious Proctor Valley info! As far as divesting from companies involved in a border wall, a public bank would save the state oodles of money spent in interest at Wall Street. Pension funds are in trouble because of the minuscule interest they are getting while Wall Street makes out like a bandit. It would be better if the pension funds divested totally from Wall Street and put their money in a state owned public bank. Then there would be no pension fund shortfalls having to be made up by the taxpayers. This should be tagged as editorial or commentary, not news, or the snippet should be changed to state the facts. Duly noted and edited above, Eduardo. I also hope people know this is a ‘Roundup’ of South Bay news. The links are always supposed to describe MUCH more than a short snippet can, so hopefully readers are clicking and reading more.